Fifty kilometers outside the city of Gzhatsk, which in 1968 was named Gagarin since the first cosmonaut Yuri Gagarin grew up there, lies the village of Tumkina. Gzhatsk is located 145 kilometers west of Moscow. In Tumkina lived the Great-Schema Nun Macaria. Yuri Gagarin was born in 1934 outside Gzhatsk in the nearby village of Klushino to parents Alexey Ivanovich Gagarin and Anna Timofeyevna Gagarina, who worked on a collective farm. While manual labourers are described in official reports as "peasants", his mother was reportedly a voracious reader, and his father a skilled carpenter. Yuri was the third of four children, and his elder sister helped raise him while his parents worked. In his youth, Gagarin became interested in space and planets. While in high school he joined the "AeroClub", and learned to fly a light aircraft, a hobby that would take up an increasing portion of his time. In 1955, after completing his technical schooling, he entered military flight training at the Orenburg Pilot's School. After marrying in 1957 he became a Lieutenant in the Soviet Air Force on 5 November 1957 and on 6 November 1959 he received the rank of Senior Lieutenant. In 1960, after the search and selection process, Yuri Gagarin was chosen with 19 other pilots for the Soviet space program. On 12 April 1961, aboard the Vostok 3KA-3 (Vostok 1), Gagarin became both the first human to travel into space, and the first to orbit the earth. On 27 March 1968, while on a routine training flight from Chkalovsky Air Base, he and flight instructor Vladimir Seryogin died in a MiG-15UTI crash near the town of Kirzhach. Some sources have claimed that Gagarin commented during the space flight, "I don't see any God up here." However, no such words appear in the verbatim record of his conversations with Earth-based stations during the spaceflight. 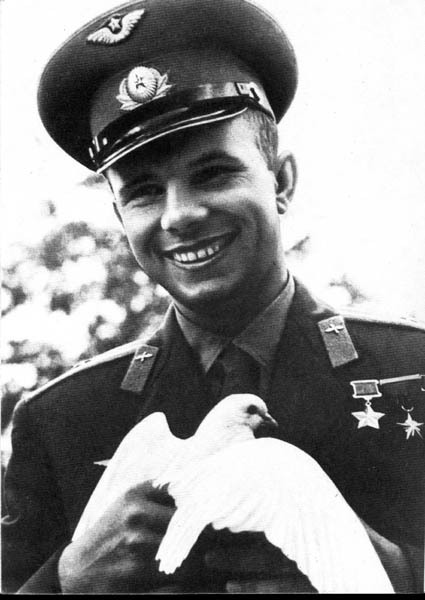 In a 2006 interview, Gagarin's friend Colonel Valentin Petrov stated that the cosmonaut never said such words, and that the quote originated from Nikita Khrushchev's speech at the plenum of the Central Committee of the CPSU about the state's anti-religion campaign, saying "Gagarin flew into space, but didn't see any god there." 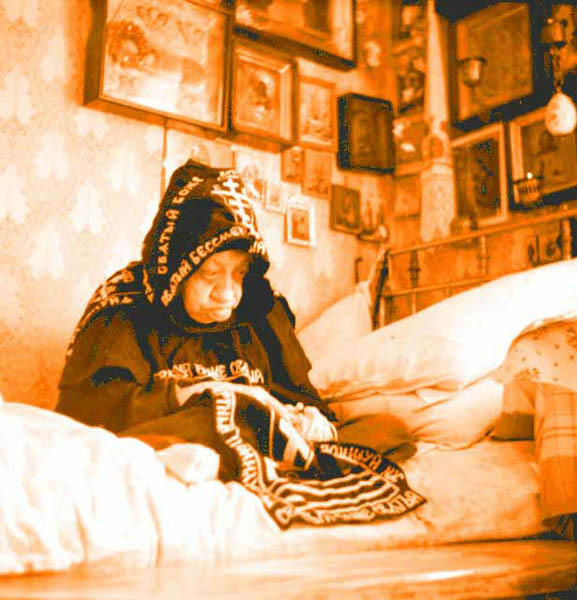 Petrov also said that Gagarin had been baptised into the Orthodox Church as a child, and a 2011 Foma magazine article quoted the rector of the Orthodox church in Star City saying, "Gagarin baptized his elder daughter Elena shortly before his space flight; and his family used to celebrate Christmas and Easter and keep icons in the house." Gagarin also urged the authorities to reconstruct Christ the Savior Cathedral in Moscow. "Yuri Alekseyevich Gagarin came several times! Nobody of course knew about this except for his mother, himself and myself. One time - it was the Fall of 1967 - he came with three cars. In two of them were doctors and he was in the third. He came into my cell and told me: 'I brought doctors, Eldress, to take a look at you. We need you and always want you to be well!' After the examination, he said: 'I am arranging for you to get a better retirement fund. It is unacceptable for a person to be so tormented, deprived of the essentials of life.' Yuri was very good. Like a child. I looked at him, I remember, reflectively and told him: 'You know Yuri Alekseyevich, I will tell you something that perhaps will be strange to you. You should not ever again enter an airplane. It will seem strange to you who have been into space, but that is how it must be. It is prohibited for you to fly again!' He smiled. Of course he didn't listen to me. The result? He was killed along with his co-pilot, in a two-seater jet crash, during a training flight in Vladimir, near Moscow. He was only 34 years old." From the book Άνθη Αγίας Ρωσίας by Μ. Μελινού. Translated by John Sanidopoulos.